Is your setup working well? 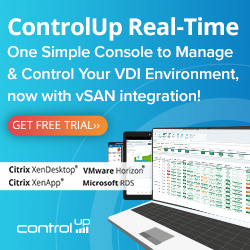 Are vt-d, x79 raid controller work well with esxi5? I plan to make one with deluxe version. The post didn’t stated that i have such configuration, but i like to have one. The Sandy Bridge-E processor is om the moment in the Netherlands not available. It will be soon available i think. If someone has a Sandy Bridge-E processor and a X79 motherboard it would be great if you post the experience on your home lab. Hello guys! Bought P9X79 DELUXE with Intel Core-I7-3930K processor for a new whitebox and cant make it work as I would like to :). I do manage to install ESXi 5.0 but in RAID mode datastores are not recognized as well as one of the NICs (one from INTEL). Drivers are still missing. Going to wait until someone with more knowledge sort this out… Using Hyper-V until then. @SWE The SATA controller is detected in ESXi (See screen shots, so you attach hard disks and use them in ESXi as separate disks. When you want to use a RAID set, you need a separate supported hardware RAID controller. Software RAID is not recognized in ESXi. If you cannot make the onboard NIC to to work (follow the procedure as described), then add an extra PCIe NIC that is supported by ESXi. So spending extra money depends if you want to use a RAID set in your config. I have an ASUS P9X79 Deluxe with an Intel i3970x running ESXi 5.1, and VT-d isn’t working, despite that the motherboard, chipset and CPU all supposedly support VT-d! John, re-check VT-d is enabled via BIOS.